With twenty plus years creating the most beautiful stained glass windows and doors, we are pleased to bring our high quality custom product to the beautiful master planned community of Kingwood TX, along with the nearby communities of Humble and Galveston. 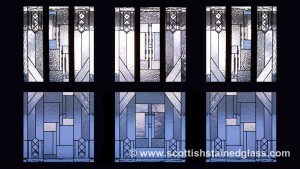 Our residential stained glass can be commissioned in the styles you love. We work together with our clients to learn their style and create the designs that complement their tastes and the look of their homes. In Kingwood TX, many of our residential clients are looking not just to add beauty and value to their homes, but to add privacy as well either in the entryway, the bathroom, or any other room. Stained glass can add privacy while still letting in the light, especially with our special beveled and leaded stained glass. These colorless windows and doors have elegant designs that can work with any color scheme and a wide array of architectural and decorating styles. We work together with our commercial clients to create the perfect stained glass to make their interiors memorable and crate the ambiance they are looking for. Stained glass projects can include windows and doors, along with ceilings, skylights, signs, backdrops, and more. We create custom designed and hand crafted stained glass for restaurants and shops, salons, office spaces, hotels, bars, cafes, and any other commercial or retail spaces. Nothing says elegance, style, and class inside a commercial space like custom designed stained glass. 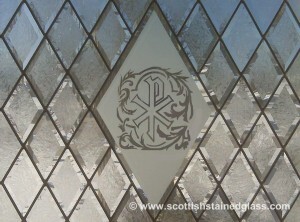 We are always honored to be commissioned to create religious stained glass. We work with any religion or denomination. Religious stained glass art can feature traditional Bible scenes or it can be something more modern and less literal. Stained glass has a long tradition in Texas churches and around the world. The Houston metropolitan area is home to some outstanding religious stained glass, for instance, the beautiful windows in the Good Shepherd Episcopal Church in Kingwood. For those Kingwood area churches with older or antique stained glass that might be in need of repair or restoration, we urge you to contact us at once. We have developed special restoration processes that can fix any structural issues and restore the stained glass windows to their original glory. It always starts off with an in home (or in office) visit by one of our local Houston design professionals. During this appointment, the client can discuss their ideas, their favorite styles, and look at many photos and sketches and samples. Once deciding upon the exact design, we continue the project back in our Houston studio. One of our highly trained master stained glass artisans will cut and assemble the glass, constructing the window or door piece by piece. To set up an appointment for custom stained glass design in Kingwood Texas, we hope that you will contact us today.